With an impressive wealth of experience and a friendly, knowledgeable demeanour, Ryan Leibel is certainly the trainer to look out for in 2015. As well as being an accomplished endurance athlete and a true Canadian outdoors-man, Ryan has a vast array of experience. 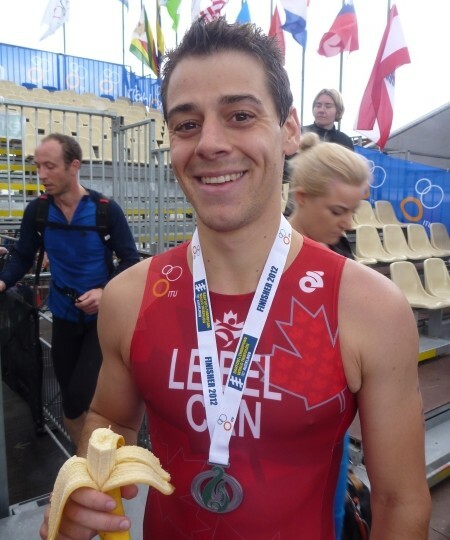 Having trained a large variety of different populations, including high performance athletes and the Royal Canadian Mountie Police, Ryan’s experience and exercise physiology knowledge means he could well be the trainer you need to take you to the next level and achieve your health and fitness goals. Let’s find out a bit more about Ryan, and why he is the trainer for you. What prompted the move to Australia? While travelling through Croatia in 2009 I met my wife, who is from Sydney. Shortly after we finished our travels she moved to Canada, where we’ve lived for the last 4 years. In March of 2013 we were both able to get one year leave from our jobs to move to Sydney and travel around Australia. We both enjoyed the lifestyle and climate so much that we planned to move here permanently, probably sometime in 2015. My wife is very close with her family here, so it was important for both of us to split our time well between both countries. We are currently expecting our first child, so in January of this year the timing just seemed right! I can tell that you’re certainly a sporty person; what sports and activities do you enjoy? I really enjoy any outdoor activity, but favour endurance sports. I have finished triathlons of all lengths, from sprint distance through to Ironman. 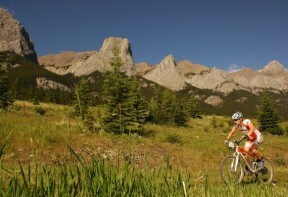 I’ve also done plenty of multi-day mountain bike races and ultra-marathon trail runs. Since moving to Sydney I am trying to learn to surf, but quickly finding it to be more difficult than snowboarding. Certainly sounds like you’re embracing life in Sydney then! Tell us though, how long actually are these endurance events? Well, a sprint triathlon can be as short as a 750 metre swim, 20km bike ride and 5km run. 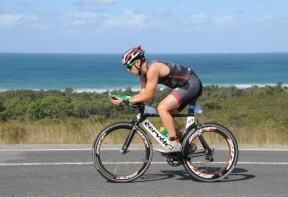 An Ironman, however, is a 3.8km swim, 180km bike and finish with a marathon (42.2km). An ultra-marathon trail run is over 50km of running, but many are up to 100km or more. Wow! You are a machine. Do you have any events planned for the upcoming year in Sydney? Australia certainly offer a number of racing opportunities that aren’t available in Canada, so although I don’t have any specific events planned I am looking to get involved in the local triathlon community. I’d also like to complete another 10 iron-man triathlons in my life. So I’m sure I’ll enter in a few races later this year. You just don’t stop moving; that’s very impressive. Tell us a bit about your work with the Royal Canadian Mountie Police. For the last 8 years I was training the new Royal Canadian Mountie Police (RCMP – Mounties) cadets. It was a very rewarding job, where I had the opportunity to train people from across Canada who brought a large collection of individual skills and experiences. The RCMP impressed me in many ways, but particularly in their desire to improve and commitment to their training. It was extremely rewarding knowing that my work helped improve the physical competency of over 5000 police officers. That certainly sounds like a very interesting and rewarding job. How do you feel you apply what you’ve learned with the RCMP to your training sessions with clients? Much of the work I did with the RCMP was team based, and I feel this is an important aspect to all group training sessions. I would like to use my experience with the RCMP to develop and improve teamwork among corporate and group fitness training. That’s a great philosophy; I bet our group training sessions will love that! What about your work with junior and senior high-performance athletes; tell us a bit more about that experience. When I finished my Kinesiology degree I had the opportunity to work at high performance gym in Regina, Level 10 Fitness. I was able to work with many athletes, but being in the heart of the Canadian Prairies ice hockey is the sport of choice for many. I had the chance to work with many players from the Western Hockey League, the main junior feeder league for the National Hockey League (NHL). I was able to hone my speed and power training techniques, whilst helping these athletes to perform at their peak. What an exciting experience, I can see this all really helped build your style of training, and hone your skills as an expert trainer. Final Questions; what motivated you to become a trainer and exercise physiologist? When I started at uni I was unsure of what to do, but I consistently found myself drawn back to sports science. I as training for iron-mans at the time, and as I learned more about how my body adapted to the training I became more interested in the science behind it. This cultivated my passion for training people, and helping them to perform at their best. With an impressive ability, exprience and an excellent training style, Ryan could be the trainer to help you reach your goals in 2015. Thinking of training with Ryan? No matter what your sporting background or experience level, Ryan can help you achieve your absolute best. Book in an initial consultation and goal setting session with Ryan now, and see just how far you can take your fitness in 2015.